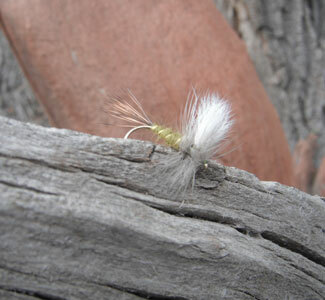 The Green Drake Fly , a close copy to the real thing, is much sought after during the Green Drake hatch. 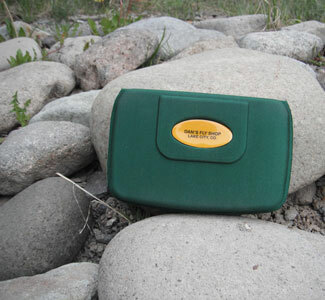 The fly is large and easily identified so for those who love to “match the hatch” the fly makes the job fairly simple. 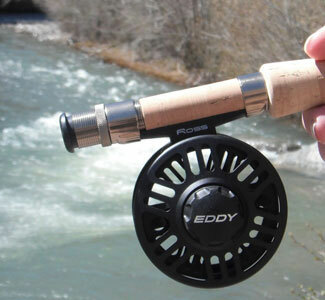 In addition the fly is a good catch for the fish which also pay attention to the hatch. Offered in groups of 6 in size 10. 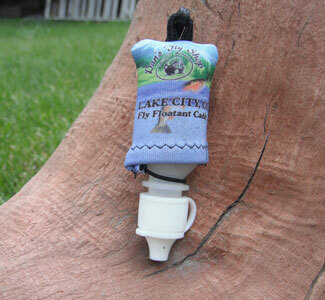 The Green Drake Fly is a large fly that is made to copy an actual fly – the Green Drake. Nothing allusive here. The Green Drake hatches sometime between mid-July and early September depending on the location. 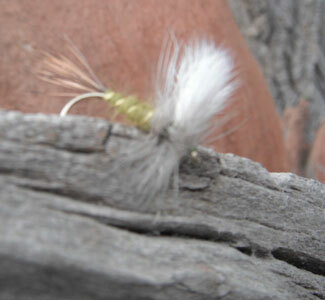 The fly is large and can be identified by the green colored body and is a tasty treat to the hungry trout. The copy has green wool body ribbed with gold and a spilt calf tail wings making it a great floater, easy to see on the water, and a necessity during the hatch.